Living t'ai chi daily | Jon Katz, P.C. 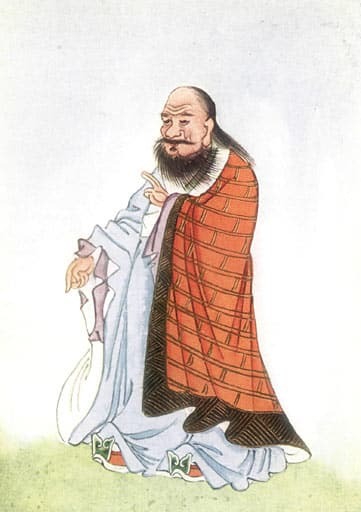 Lao Tzu, the purported author of the Tao te ching. Taoism is closely connected with t’ai chi principles. (Image from the public domain). – Yesterday morning was the first time I joined the weekly Saturday morning outdoor t’ai chi practice at the nearby Cabin John Park in Maryland; I previously would sometimes join the practices in Glen Echo Park and in McLean, Virginia, but they do not involve t’ai chi push hands/boxing. T’ai chi fighting is a form of Chinese boxing, which is different than Muhammed Ali’s sport, in that t’ai chi is an internal martial art focused on reaching strength through keeping the mind, body and spirit as soft as water and wind, but as powerful as a tidal wave and tornado. The small t’ai chi gathering on this frigid day morning at Cabin John Park was amazing, because two excellent teachers from t’ai chi master Cheng Man Ch’ing’s lineage showed and practiced push hands with me, which I had barely been taught before, and which I last practiced over six years ago after less than a handful of times. One of the participants talked of doing push hands by focusing on the principles and movements of the 37-posture t’ai chi form, and by imagining a sphere around myself. This practitioner also taught that as long as I maintain a sphere against my opponent, I can successfully defend myself. However, it also is essential for me to keep physical contact at all times between my arms or hands and the opponent’s body; that is how I can deeply sense the opponent’s next move and how I can minimize damage from the opponent’s attack. Therefore, the sphere is not a complete physical buffer from the opponent, but gives me control over a conflict even when part of the opponent’s body is inside my sphere. Success in t’ai chi push hands involves listening with all senses to anticipate the opponent’s moves; yielding to the opponent’s attack without backing away, by rooting one’s chi into the ground, bending low enough to be in a sitting posture, and turning from the waist; staying relaxed, sinking the weight into the leg that is best to be weighted at that moment, turning the waist sometimes as slowly as dripping water to give the opponent nothing to push, keeping the hand(s) on the opponent as the opponent tries to push, finding the opponent off balance or the opponent’s center of gravity for pushing the opponent, and never standing upwards from bending down in that raising the body helps the opponent push the fighter. My first opponent showed me the consequences of my physically backing off from being pushed by continuing to stick to me and push me; the idea is not to resist the push with force, but to relax and sink into the ground as part of the defense. The entire experience was wonderful, and I look forward to returning to this Saturday morning session many times. Certainly, the above lessons can be applied for success with all conflict, both in one’s personal life, in the practice of law, and in court. – Here is a brief biographical essay of late t’ai chi master Professor Cheng Man Ch’ing, who taught my t’ai chi teachers’ teacher, by his late disciple and interpreter Tam Gibbs. Here is a timeline of the Professor’s life. – Here is an on-again/off-again blog from the Cheng Man Ch’ing biography project. – Here is an interesting, dormant Chang Man Ch’ing blog. – Here is a link to teachers from Cheng Man Ch’ing’s lineage. – Here are links to Cheng Man Ch’ing’s own students. – Cheng Man Ch’ing’s student Ken Van Sickle has some fascinating things to say about the Professor and himself. – Cheng Man Ch’ing was already accomplished in Chinese medicine before starting his t’ai chi studies with the great Yang Cheng-fu. He believed in the benefits of t’ai chi for preventing the need for a physician’s intervention in the first place. Here is an interesting link to the Jung Tao school of classical Chinese medicine in North Carolina. – Taoism is closely connected to t’ai chi. The Native American Taoist blog is written Roger Gilbert, whose Native American name is Thunderhands(Waki ya nape). Recently, Thunderhands wrote: “Without thought, without dependence on what you know, show me your truth right now! Too late! You were cut three times before you saw one pass of the blade. Stop thinking! The sword is slicing through the air. If you look at the keen blade glistening, you are dead. The Zen way is to take no thought for what action to take nor to meditate over the danger. Movement is then natural fluid. Whoosh! You are gone beyond danger. -Vernon Kitabu Turner / Roshi.” I generally agree with Thunderhands, as long as the mind is involved in all this; I speak of mindfulness, rather than overthinking. Jon Katz.